The greatest Unix Oracle scripts on the planet. 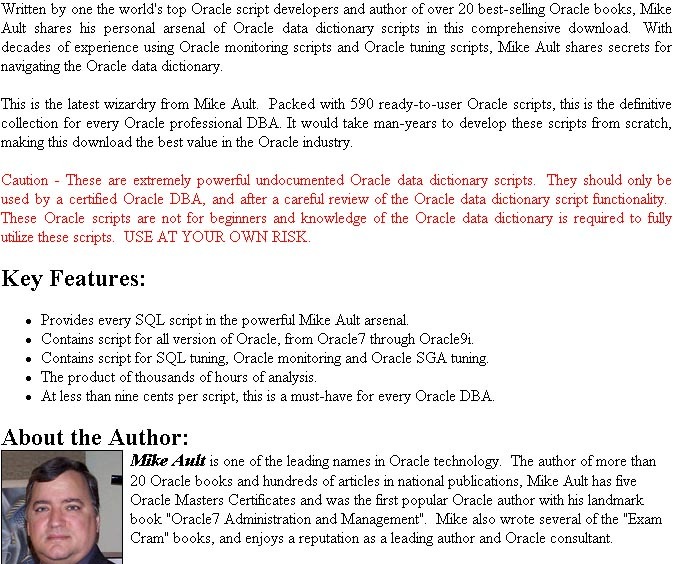 Mike Ault provides you with the best Unix Oracle scripts around. Superb Unix Oracle scripts written by Mike Ault.